Obese children who cut back on their sugar intake see improvements in their blood pressure, cholesterol readings and other markers of health after just 10 days, a rigorous new study found. Added sugars — the extra sweeteners food companies put in their products, not the sugar that occurs naturally in foods like fruit – are a topic of growing debate. In February, the federal government’s Dietary Guidelines Advisory Committee recommended that Americans limit their intake of added sugars to no more than 10 percent of daily calories. 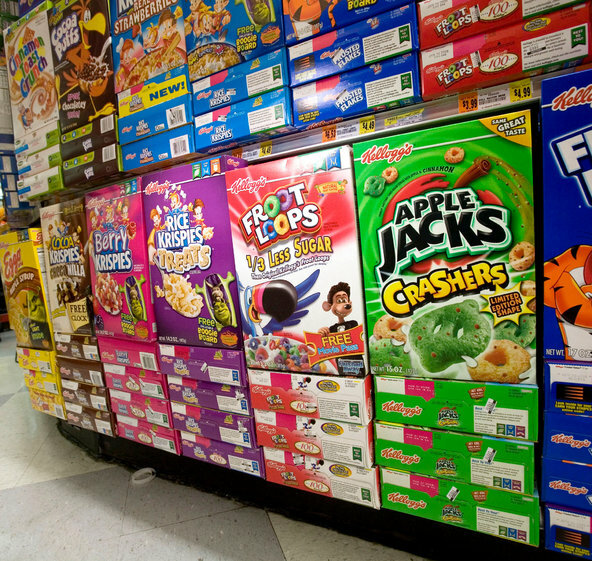 In 2014, the Food and Drug Administration proposed that food companies include a line on their nutrition labels listing the amount of added sugars in their products. After the dietary guidelines committee issued its report earlier this year, the agency expanded on its 2014 proposal, saying that companies should also list a “daily percent value” for added sugars on their labels in line with the 10 percent recommendation. The newly released study is timely in part because it lowered sugar intake among children to roughly 10 percent of daily calories, the amount recommended by the dietary guidelines committee. For their study, the scientists recruited 43 children between the ages of 9 and 18 who were considered at particularly high risk of diabetes and related disorders. All the subjects were black or Hispanic and obese, and had at least one or more symptoms of metabolic syndrome, a cluster of risk factors that includes hypertension, high blood sugar, abnormal cholesterol and excess body fat around the waist. On average, the subjects had been getting about 27 percent of their daily calories from sugar. By comparison, the average American takes in about 15 percent, though children typically consume much more than this in part because they have the highest intake of sugar-sweetened beverages. The study authors paired the subjects with dietitians. They then replaced the sugary foods in their diets with other foods purchased from local grocery stores. The goal was not to eliminate carbohydrates, but to reduce sugary foods and replace them with starchy foods without lowering body weight or calorie intake. So instead of yogurt sweetened with sugar, the children ate bagels. Instead of pastries, they were given baked potato chips. Instead of chicken teriyaki – which typically contains a lot of sugar – they ate turkey hot dogs or burgers for lunch. The remaining sugar in their diet came mostly from fresh fruit. Because the scientists were working on a tight N.I.H. budget, they could only carry out the costly intervention for nine days. But in that short space of time, they saw marked changes. On average, the subjects’ LDL cholesterol, the kind implicated in heart disease, fell by 10 points. Their diastolic blood pressure fell five points. Their triglycerides, a type of fat that travels in the blood and contributes to heart disease, dropped 33 points. And their fasting blood sugar and insulin levels – indicators of their diabetes risk – likewise markedly improved.